The team hit the Detroit pavement running through two practice sessions on Friday, quickly getting back up to speed despite missing the past two IMSA WeatherTech SportsCar Championship events. 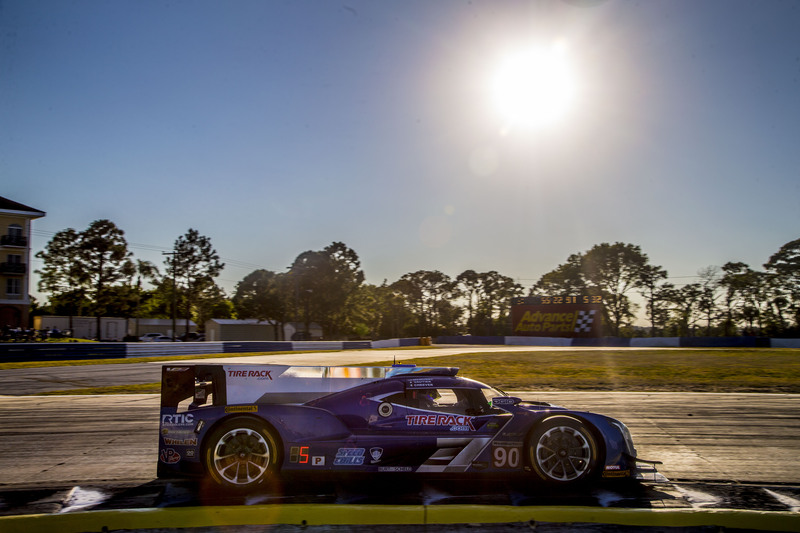 Drivers Tristan Vautier and Matt McMurry made the most of 200 minutes of practice with 88 laps to dial in the balance and grip level on the Cadillac DPi-V.R. McMurry took the wheel in qualifying, navigating the 2.35-mile circuit situated on the 982-acre Belle Isle State Park. The veteran Vautier helped coach the 20-year-old McMurry, competing on his first street course since he ran the open-wheel USF2000 series in 2013. Weather in the area had halted on-track activity earlier in the afternoon, reducing the Prototype class qualifying session to 12 minutes. But shortly after the session began, a car tagged the wall and scattered debris, causing a red flag. With 10 minutes of green flag running time guaranteed, teams watched the clock to make sure they had enough time for a clear lap. As the green flag came back out with just enough time for one quick lap, McMurry did the best he could to set a fast time. But the checkered flag did not come out as time was suddenly added to the clock. The Arizona native was unable to shake traffic and had to settle for a time of 1:24.688 – good enough for 12th position in the starting field but leaving the team understandably upset with the outcome. The 100-minute Chevrolet Sports Car Classic at the Detroit Grand Prix will be broadcast live at 12:30 p.m. Saturday on FS2 and IMSA.tv.